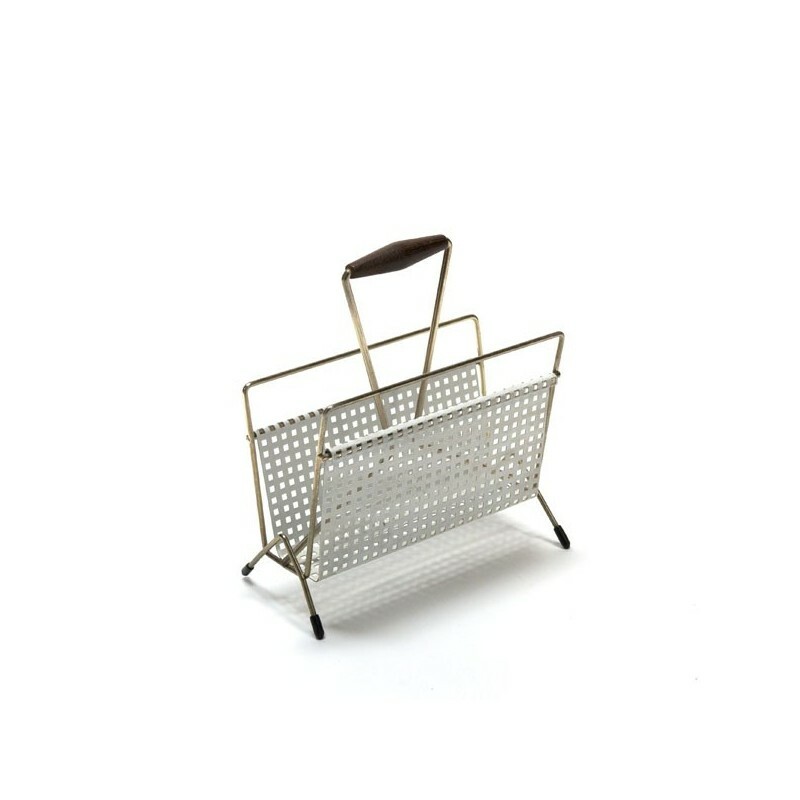 Vintage post stand / letter holder from the fifties. 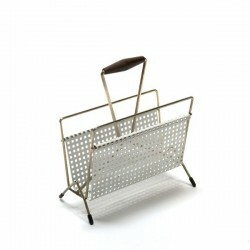 White perforated metal and brass finish. The condition is good considering the age, see detailed pictures. The size is 15 cm L / 6.5 cm W/ 17,5 cm H.